It was a happy Jordin Tootoo on the other end of the line, a player who has every reason, both on and off the ice, to be wearing a smile. He had all the time in the world to talk, willing to speak about good times and bad. But his preferred topics of conversation were in reminiscing about Nashville's opening-round playoff triumph and the unwavering support of his teammates and the Predators' organization. It didn't take long for Tootoo to answer when he was asked if this is the happiest he's been, career-wise, in his life. The man who holds the distinction of being the first player of Inuit descent to play in the NHL just happens to be playing the best hockey of his big-league career. In nine playoff games in 2010-11, Tootoo, who played for the Brandon Wheat Kings in the Western Hockey League (WHL) from 1999 to 2003, has five points. But it's not just that Tootoo is contributing timely assists, it's what he's doing with his overall game, namely his ability to provide a positive spark at both ends of the ice. Still, the forward who was nominated as Manitoba's Sportsman of the Year for 2000, was the WHL Player of the Month for December, 2001 and played in the 2001 CHL/NHL Top Prospects Game, admits he's quite proud to offer the Predators some welcome offensive punch. 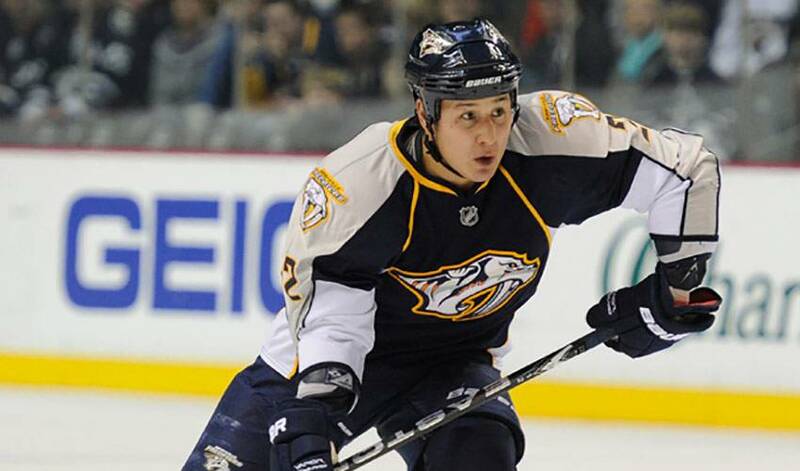 One of Tootoo's teammates, Colin Wilson, suggested what makes Nashville a tough team to play against is their workmanlike and unyielding ways. That was evident in Nashville's opening-round series win over the Anaheim Ducks in six games, the Predators first playoff triumph in franchise history. The win was an extremely meaningful one, including for Tootoo. It also gave the players an extra boost of confidence as they headed into their Western Conference semifinal against the top seeded Vancouver Canucks. Tootoo is ready for the challenge. As for what his own personal expectations are for the rest of the playoffs, consistency is first and foremost on Tootoo's list. He's also a happy man.